I may be going out on a limb here, but I think it's safe to say that 99% of you have read Hamlet by William Shakespeare. If you haven't....you probably didn't attend high school. :P Anyways, you all know Ophelia, Hamlet's lady friend whose peak in the story is drowning herself. In Ophelia, we are told the same story that we all know by heart, only from a different angle. The story starts with Ophelia as a young girl. She lost her mother early on and lived with her domineering father, Polonius, and brother, Laertes. When she is about ten years old, her father gets her a spot in the palace working for Queen Gertrude. Several years later, she catches the eye of Prince Hamlet. They fall in love, but they must keep it a secret as he is a prince and she is essentially a nobody. Part 2 is all of the events that essentially happen in the play. As I said before, it's the same story, just told from a different point of view. Ophelia watches the madness of King Cladius, the piety of Queen Gertrude, and Hamlet's ravel to madness from the sidelines. Then things began to get weird. Remember Ophelia's scene where she has the likeness of a crazy woman as she gives flowers to everyone? 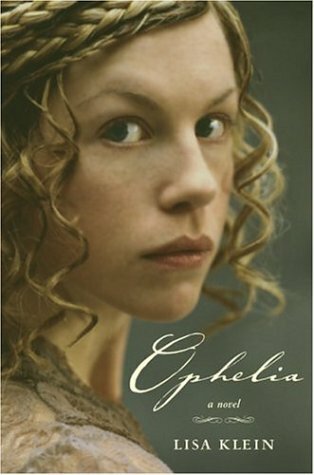 I think the author didn't want Ophelia to be insane....in this story, she was simply putting on an act to fool everybody around her. Up to this point in the book, I'd been enjoying the story immensely. It was the change of Ophelia from a tragic character to strong heroine that irritated me. If this wasn't enough, Ophelia doesn't die. She takes poison to feign a death and only lets Horatio in on the secret. I realize that this would have been a much shorter story if she really had died, but c'mon...I would have enjoyed the overall book much more if it had followed the story more closely and ended with a crazy person drowning herself. I think this irritation carried over into Part 3, Ophelia's new life in a new country. Everyone that she previously knew (her family, Hamlet, etc) are barely given a passing thought. There was a totally different feel to the story that just didn't fit. If you don't mind that the story becomes majorly skewed from the original play, I think you'd like this story a lot. It was well written and Ophelia is a pretty likable character. It was a nice, quick read - as well as a flashback to high school. 3.5 stars. Aw. I'm kinda sad that you didn't like it as much as I did. I really liked that it was a different story from what we see in the play, but still totally believable. I also liked that **Spoiler** when she pretended to die, she used a poison similar to what Juliet used, I thought it was a nice reference to Shakespeare's other works. Have you read "Rosencrantz and Guildenstern Are Dead?" You might enjoy that. I totally got a Juliet vibe when she took the poison! I have not read that other book...though I did see the movie "Rosencrantz and Guildenstern Are Undead" (lol)....and "Hamlet 2"....I really like Shakespearean 'spinoffs,' just not this particular one. I have never read Hamlet, but I did go to high school (promise! ), here in Holland we don't really read any of Shakespeare's plays for class. I'm always thinking I should read them, though. I'm always bothered by inconsistency as well, so I'm not sure about reading this book, even though the first part sounds really good. Amazon has recommended this to me a few times. Thanks for the honest review. I don't know if I can handle something that seems so drastically different from Hamlet.